Why have I added this hood, given this lens has a built in hood? All one has to do is extend that hood and lock it in place. Well, since I chose to not rely on Thousand Oaks getting me the filter I ordered in time for the eclipse, I made my own. The sizes I used [O.D. 86mm vs. 77mm] prohibit extending the built-in hood. 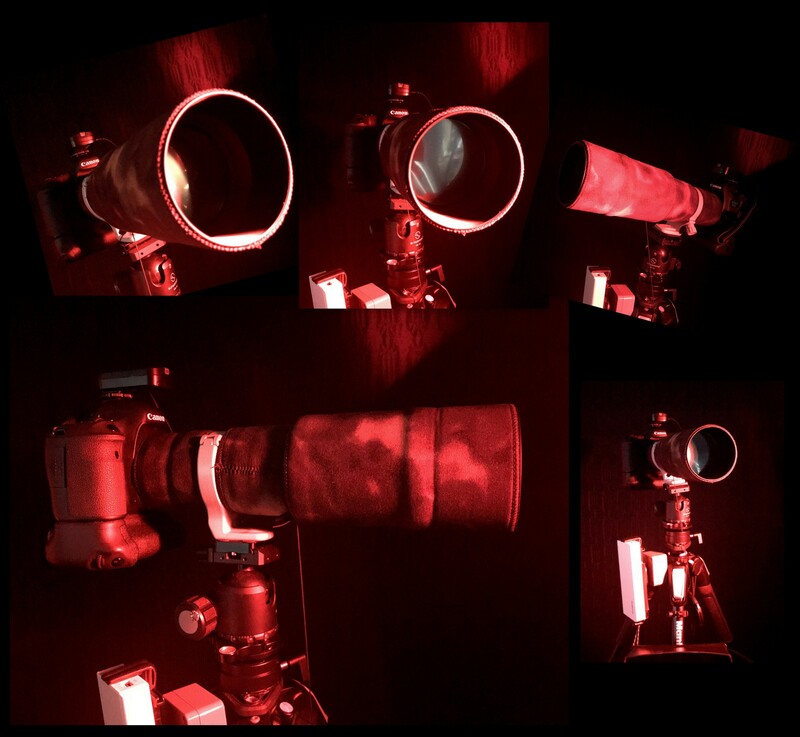 So, here you are… The hood and lens cap also protect the solar filter film.